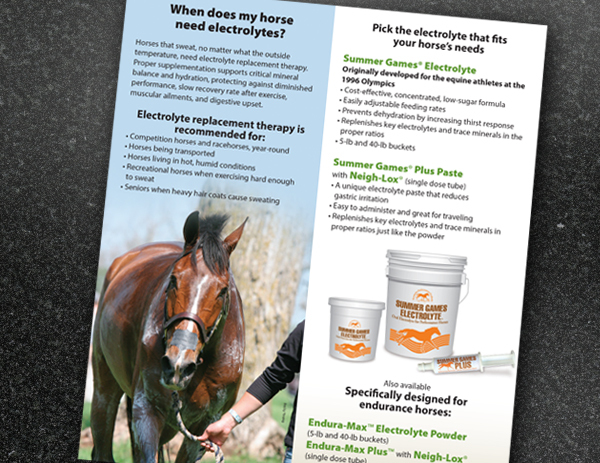 Kentucky Performance Products, LLC (KPP) asked the Arion Group to design a product brochure for their equine nutritional products. 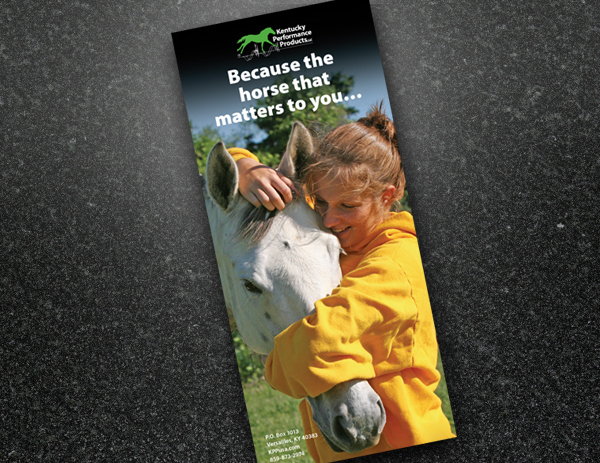 KPP’s customers are passionate about their horses, so images that portrayed this emotion were featured on the front and inside cover. 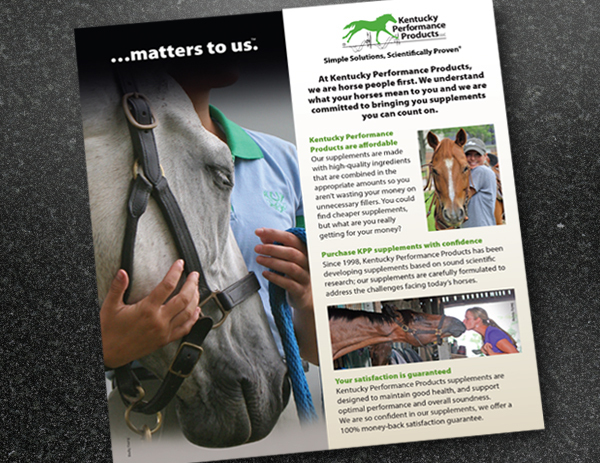 KPP’s company tagline, “Because the horse that matters to you, matters to us” was prominent as well. The benefits of using each KPP product are prominently listed, while questions and answers about products are interspersed throughout the piece. 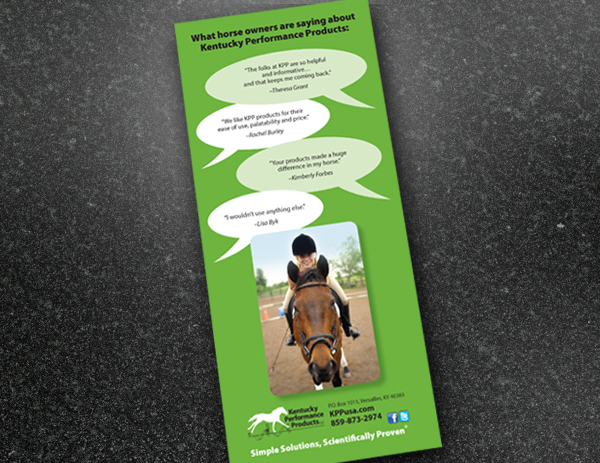 Customer testimonials are featured on the back cover in an eye-catching format. 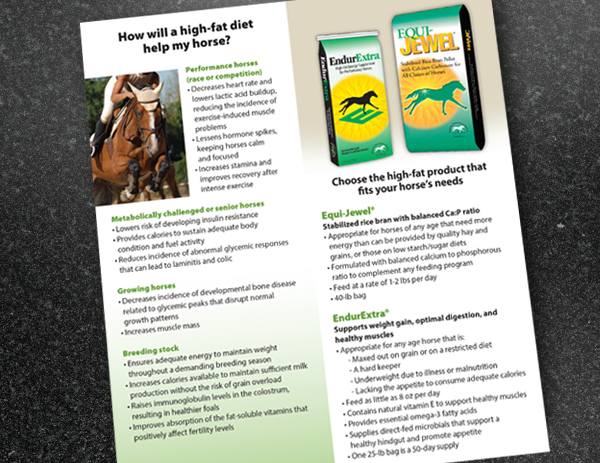 KPP’s product brochure was mailed to prospective clients, used as product inserts, and given out at trade shows. To see more views of the brochure, advance the slide show below. 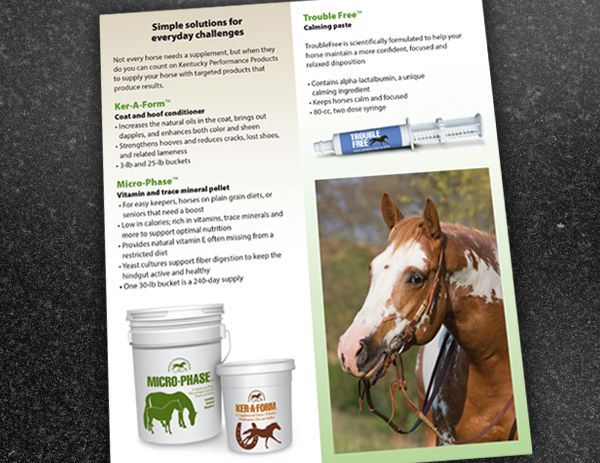 For help creating your next product brochure, contact the Arion Group today.